Table Tennis Provider can offer you and your school a bespoke table tennis programme that suits your school’s needs. Each school programme is set up to inlude our very own Table Tennis Provider Skills Awards programme in which the children are constantly tested in their new skills in order to earn certificates for each level of the programme that they pass through. We can offer a course P.E classes, breakfast clubs, lunch clubs and our most popular service an after school club. If your school is looking for a one off table tennis competition or exhibition, we can do that too! 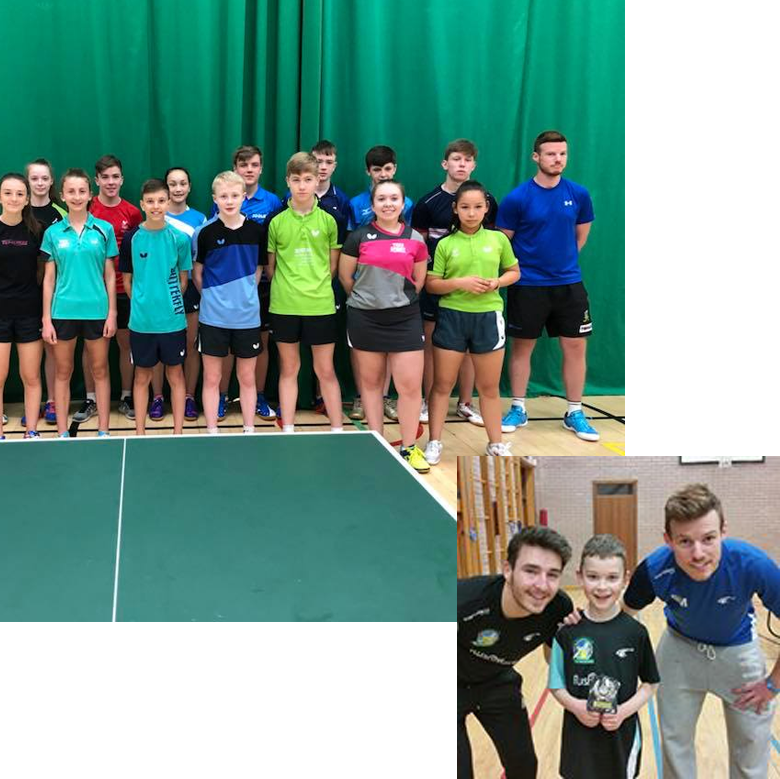 Table Tennis Provider courses generally work out at €5 per session, per child but we can and do tailor packages around your schools needs and capabilities. Table Tennis has several health and social benefits for children such as: improved Hand-Eye & Body Coordination, Fight Obesity, Stimulate the brain, Promote psychomotor learning, Increase Attention Span, Encourage social interaction. And our programmes will help your children work towards their goals in a socially inclusive and fun, friendly atmosphere. 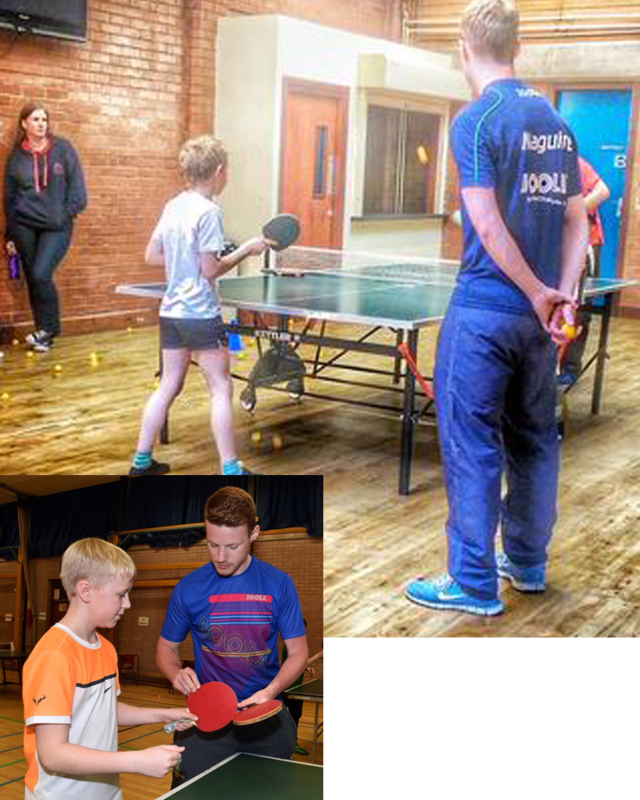 Gavin Maguire and Table Tennis Provider also cater for the individual or the group of individuals who would like to hone their table tennis skills in a smaller and more intimate environment. For the best possible learning & training experience, we offer two types of table tennis lesson. The ultimate training experience for any individual is a One on One private lesson, in which our coach will take you through a variety of training techniques. This training can be individualised depending on what you would like to work on with your coach. We can also analyse your game for you and create a training plan around this. If the cost of a one on one lesson is maybe a little too high for you but you want to get all the same training and tips from the coaches then a group lesson may be the one for you. Here, our coach will take your small group of keen players and work with each of you on the table. Often this type of session can be conversational and lead to enhanced learning through questions and answers in the group environment. Table Tennis Provider can also offer a wide variety of training camp opportunities. 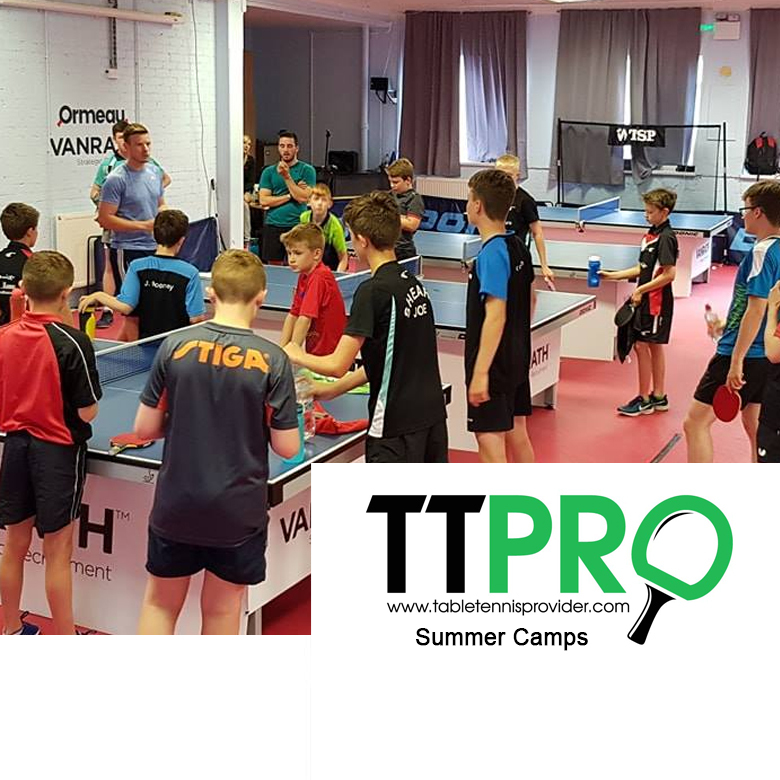 TTPro camps can come on the road to you to provide your school, club, area, county, region with a table tennis training camp. These camps can be focussed around what you need and we will endeavour to achieve the goals you set out for us. TTPro is also proud to launch the first ever, monthly adult focused training camp. Here we will conduct a 3 hour training session (with breaks) and focus around some of the important topics in Table Tennis match play such as serve/receive, first ball attack, block control, etc. 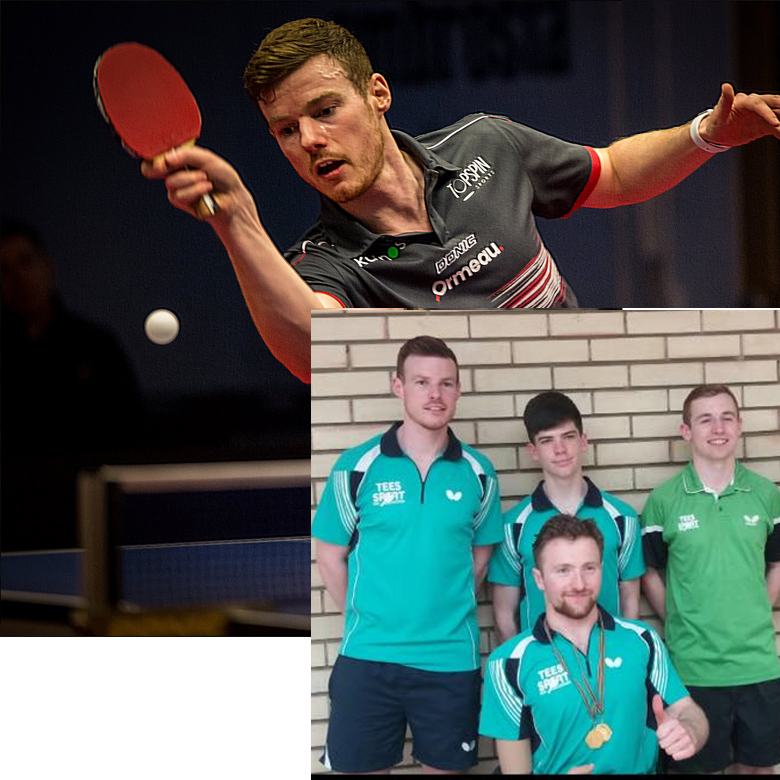 The camps will be lead by Table Tennis Provider’s Gavin Maguire accompanied by Irish National Team Coach & Ormeau TT Co-founder Gervis Knox and a variety of sparring partners to enhance your training experience on and off the table. The dates for these camps can be found in the calendar section (link to calendar) and you can book your place in advance to avoid disappointment. In the summer of 2019 TTPro will launch their first official ‘TTPro Training Camp’. It is planned that this will be an international pre season training camp with exciting professional coaches from abroad along with top Irish coaches and sparring partners. There will be an opportunity to ‘live in’ at this camp with food/accommodation to be catered for.